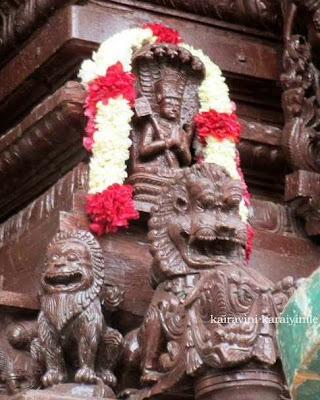 இன்று 24th June 2013 - ஏழாம் நாள் உத்சவம் - காலை திருத்தேர். 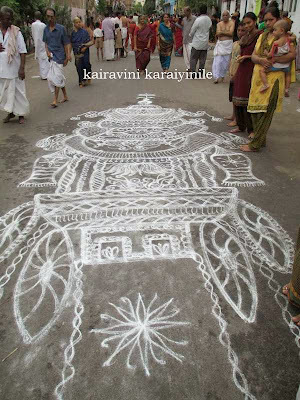 On the 7th day of Uthsavam is the grand Car Festival (Thiruther). 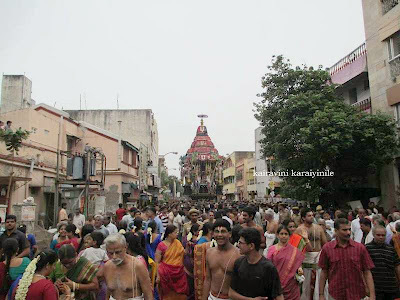 Early Morning Sri Azhagiya Singar with Ubaya Nachimars ascended the Thiruther. 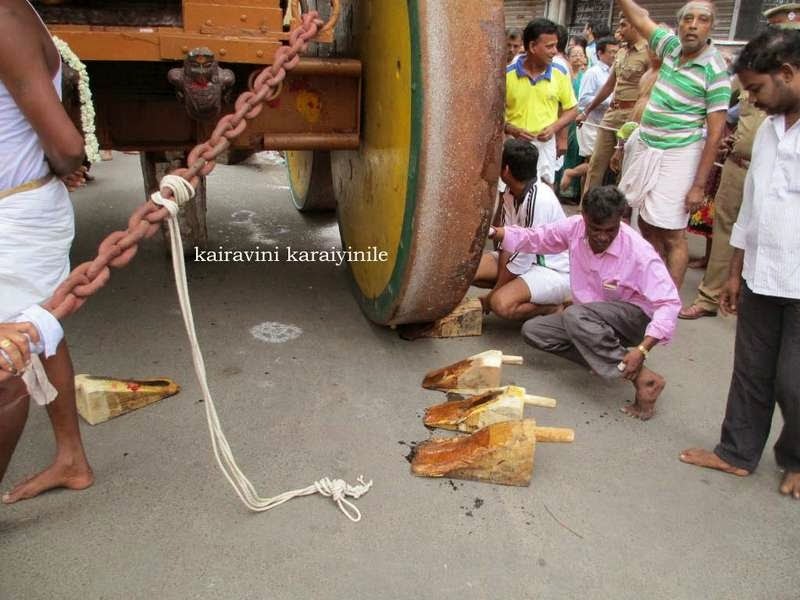 The purappadu began at around 07.00 am. The Ther festival combines all people ~ it engages so many. In villages, people will not move out of the village when there is the Car festival ~ all the people will join together to pull the Chariot….. at Thiruvallikkeni – it is grand festivity… hundreds will come to pull; the streets would be decorated with beautiful kolams, at many places – buttermilk and panagam [jaggery water] [now a days – cool drinks] would be served to devotees. It is a great pleasure to see the movement of Chariot with its big wheels gliding smoothly and the top portion slowly swinging. 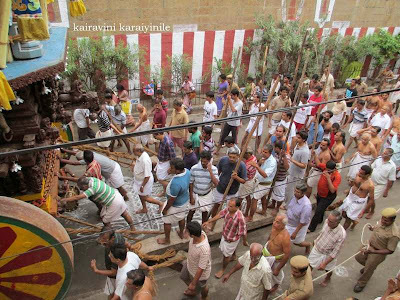 In some places huge vadam made of coir rope is used to pull – at Thiruvallikkeni this ‘pull string’ [ther vadam] is made of steel and would weigh heavily. Lord Thelliya Singar remains on the Thiruther itself till evening. 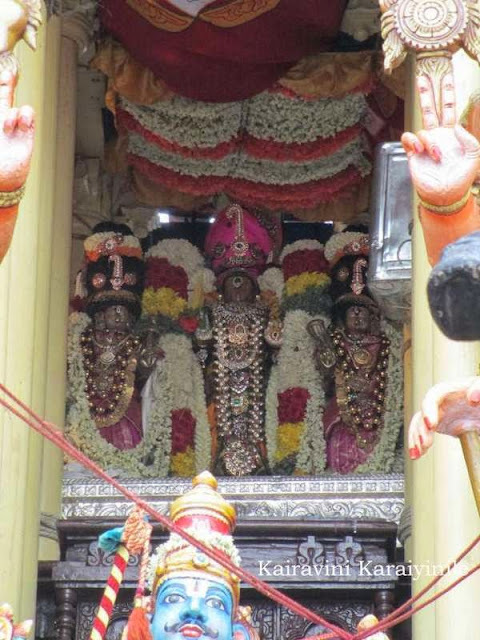 In the evening there would be usual ‘pathi ulavuthal’ and purappadu, after which ‘thotta thirumanjanam’ would take place. 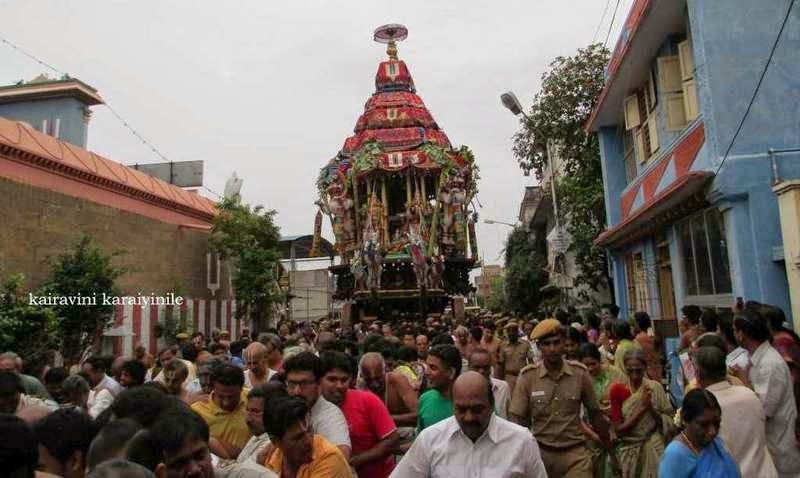 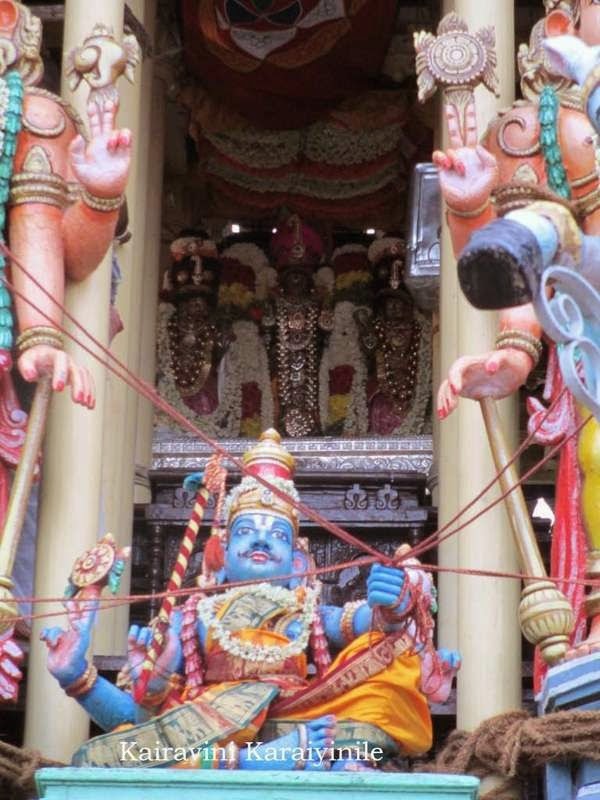 This used to happen in the cool Vasantha Mantapam situate in Venkata Rangam Street – unfortunately, this is no longer there and thirumanjanam takes place in the temple itself.